Wanting to welcome a new addition into the family, I made his mother a scrapbook. 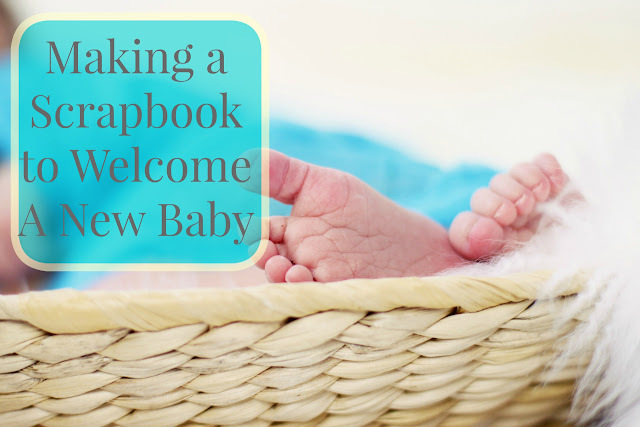 I often make blank scrapbook pages for new mothers. I think it's the perfect gift to welcome a new baby. Even if they are crafty it helps them out at a time when they would not have much time for crafts. I try to make most pages with space for 2-3 4x6 photos and include generic titles. Here's the book I put together (all for under $30; Including the scrapbook itself!) using Diecuts With a View Baby Boy paper stack. I loved this darling little mobile sticker I found; the mobile pieces actually move! Thank you so much for sharing this at The Really Crafty Link Party this week! It's a lovely idea! Pinned! Today marks my official 3rd week of WW. I'd love to say I am just an enthused as when I first began but I'll be honest and say this last week was a real struggle. I am almost always getting Blue Dot Days (staying in the recommended point zone each day), I am exercising just about every day for at least 30 minutes and yet all weight loss has stopped... in fact I've even gained a bit! But I know that if I keep at it I will see results and I am determined to see this through. It's time for another Pinterest Challenge! For this month's challenge I chose to use a Pinterest pin to give me some layout ideas for a few scrapbooking pages. I'm still working on our Florida vacation from the fall of 2017 and decided to just focus on the Busch Garden's pages I wanted to create. creamy noodle turkey casserole in March. Let's meet this month's Pinterest Challenge hosts! Nothing like waiting until the last minute! 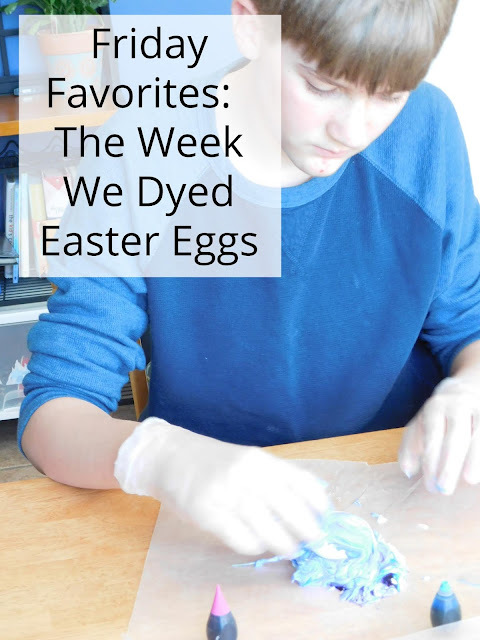 My boys finally agreed to dye Easter eggs this week and we had lots of messy fun with that. We got out hiking a few times and spent lots of time finishing up schoolwork this week; all three boys only have 2 subjects left! My husband and I had a wonderful date night on Friday; we got the kids some take out pizza and then we headed to the Whistle Stop and had a delicious dinner. My husband took Evan and Ian to the movies on Saturday to see Captain Marveland Alec and I had an afternoon to ourselves. It's rare that I get any one on one time with my boys! We played a game together. Alec pulled out his dough and made a few more characters; sadly one was decapitated during the baking process. He still has this adorable Pokémon though; Litwick is his name. The boys all piled into my bed for some snuggling and cuddling. We talked and just enjoyed hanging out with one another for quite a bit. Once they all started tickling one another, feet were flying and wrestling ensued I decided to sneak out and spend some time on the computer coming up with a plan of activities. 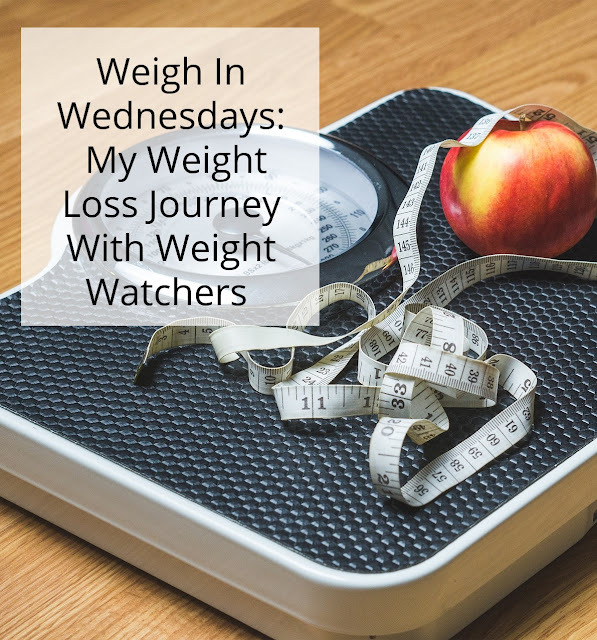 It seems our weeks go best when I have activity ideas already in my mind when the week begins. If we don't get around to them it's not a big deal, but it seems to work best if I have suggestions for some fun learning games and projects. 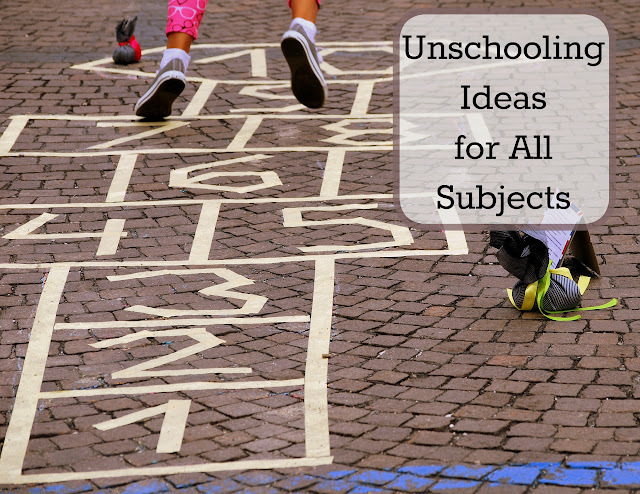 Typically I only plan enough activities to last us until lunch and then they're on their own for actual unschooling. I don't force anyone to participate in any lesson or activity; I suggest things to do that I hope they'll be interested in. It's been a whirlwind of a week and I just realized today that Easter is this weekend! Luckily we don't do much so I just had to throw together the boys' baskets (that I had thankfully already bought the supplies for) and we spent part of our day dyeing eggs. I could tell by the lack of enthusiasm that this is the last year we'll be carrying out that tradition. It's always so sad when I realize there is yet one more thing my boys have outgrown. I'm so thankful for all the years' worth of memories we've stored up together. How do you celebrate Easter? 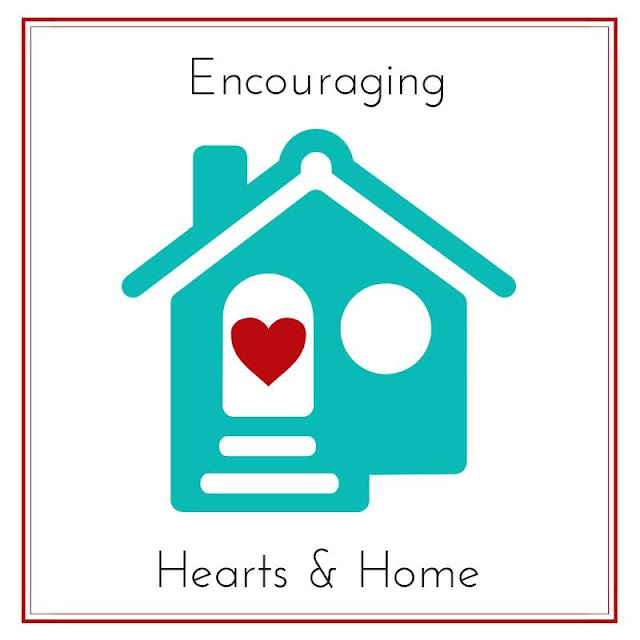 Welcome to Encouraging Hearts & Home! Another Field Trip to the Apple Orchard? Can I Live With these Homeschooling Coupons?